Do Grandparents have Visitation Rights in Minnesota? Grandparents are an extremely important part of a child’s life. This foundational relationship is especially critical during periods of high stress and difficulty. Divorce is one of the most difficult and stressful life events, for the couple and their children as well as their extended family. Emotions are high and there are times when a child’s grandparents are forgotten and not respected during this difficult time. In the state of Minnesota, parents do not have any obligation to grant grandparents visitation rights. However, the courts always want to find solutions that keep the children a priority and put their needs first. Kallemeyn and Kallemeyn PLLC can help you navigate all types of custody issues after a divorce, including grandparent’s visitation rights. The most important thing during and after a divorce is ensuring that the children’s needs are met. The kids shared in a marriage did not ask for this change to their life and are likely unsure of their future. Children experience significant life changes during a divorce — they may have a new home, a new school, a new routine and must get used to seeing their parents separately and not each and every day. Grandparents and other extended family members can provide a stabilizing influence during this time of change and help the children adjust to their new life. In many cases, with a little time, couples will agree that allowing children to spend time with their grandparents is desired. Keeping lines of communication open is helpful and being flexible about time and location of the visits can encourage this outcome. There are cases, however, when this does not happen and grandparents are concerned that the children’s needs are not being met. If this is the case, it might be time to seek the assistance of a family lawyer to discuss options and find the best path forward. Lisa Kallemeyn of Kallemeyn & Kallemeyn specializes in family law and understands that every single divorce situation is different. 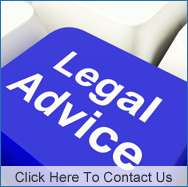 She understands Minnesota law and can lay out your rights and listen to your unique situation and guide you from a legal standpoint. 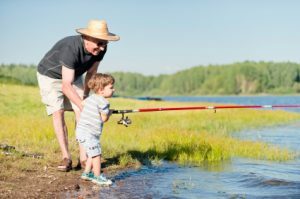 If you are a grandparent and are concerned that your grandchild’s needs are not currently being met, it may be time to explore your legal options. We will help you navigate your situation and determine whether your current family situation warrants an adoption proceeding, a custody battle or simply a temporary custody agreement until a permanent agreement can be reached. Call Kallemeyn & Kallemeyn at 763-427-5131 to learn more.